Ohio Lawyer turned army officer who had repeated interactions with President Lincoln in his role as an aide to a prominent general operating in Maryland. Piatt angered President Lincoln by promoting policies that agitated Maryland citizens in 1864. According to Piatt, his own behavior in recruiting black slaves for the Union Army caused President Lincoln to lose his temper – a rare occurrence for the chief magistrate. Piatt was a witness to the evolving relationship between Edwin M. Stanton and Abraham Lincoln. Piatt recalled: “I happened to be at Washington when Stanton was called to the Cabinet of President Lincoln. It was a strange event. Stanton was not only a Democrat of so fierce a sort that his democracy seemed his religion, but he felt, and had openly expressed, his contempt for Abraham Lincoln. I remember an instance of this last that is a painful memory, looking back, as I do, with loving admiration for both these great men. Stanton had won his way to the front as an able advocate, and found himself leading counsel in an important case involving millions. He learned, a few moments before going to trial, that Lincoln had been retained, and expected to make an argument. He told me of this, and described, in wrath, the long, lank creature from Illinois, wearing a dirty linen duster for a coat, on the back of which the perspiration had splotched two wide stains that, emanating from each arm-pit, met at the centre, and resembled a dirty map of a continent. Lincoln was ruled out, and the worst part of the transaction was that he knew of the insult. Nothing has so impressed the belief I hold in the greatest of all Presidents as this utter ignoring of a brutal affront. It was no assumption of Christian forgiveness. Lincoln could hate with an intensity known only to strong natures, and when just retribution demanded it he could punish with an iron will no appeals for pity could move. But he possessed that strange sense of power that lifted him above personal insult. In a word, he could not be insulted. In his quiet dignity he put shame on the aggressor. He illustrated this in his own humorous way, when told by a friend that Horace Greeley was abusing him in a most outrageous manner. “That reminds me,” he said, “of the big fellow whose little wife was wont to beat him over the head without resistance. When remonstrated with, the man said, * Let her alone. It don’t hurt me, and it does her a power of good.’ “I do not wonder at President Lincoln selecting Stanton to control, at the time, the most important arm of the Government, but I was amazed at Stanton’s acceptance. He was wont to pass some time, almost daily, at our room in the hotel, where, in the society of my dear wife, he seemed to relax from the sombre reserve of busy life. It was a relaxation quite removed from the kindly, impulsive nature of early youth. There was the same sense of humor, but it was cynical, and stung, as well as amused. Some days before he entered upon his new duties, I asked him, in the privacy of our room, if the strange report was true. “What will you do ?” I asked, meaning as to how he could reconcile his contempt for the President, and their widely dissimilar views, with his service under him. His reply ignored my meaning. Strange as it is, this last and apparently easiest task was the one he did not accomplish. Lorenzo defied him, and, as Sumner wrote Stanton, ” stuck ” to the last. To appreciate the change wrought in the appointment of Mr. Stanton, one has to understand the condition of the Government at the time the Hon. Simon Cameron was retired. The war that so unexpectedly broke upon us—so unexpectedly that the Government itself could not believe in its existence until the roar of Confederate artillery rung in its ears, found a people at the North not only unprepared, but in profound ignorance of all that was necessary to carry on an armed conflict. All the wars that went to make up our history, as wars are wont to do, had been fought out in skirmishes that left the Government and the body of the people unenlightened as to the necessities of a great conflict, such as the rest of the world is taught and trained through experience to understand. The volunteers, accepted from the States, elected their officers, and were, in consequence, constituents instead of privates, and these officers studied, overnight, all they attempted to practise the next day ; and while the awkward drill went on, of discipline, the soul and body of an army, there was none. 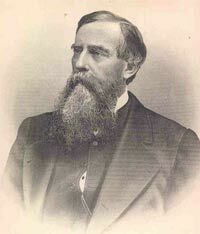 Before the Civil War, Piatt served as a lawyer and judge – and as a prominent Democrat, sought a diplomatic post from President Franklin Pierce, who named him consul at Paris in 1854. Piatt came back to the nation’s capital after the war – this time as a reporter for the Cincinnati Commercial. He became a noted writer, playwright and humorist. After he founded his own magazine, The Capital, he gained a reputation as a muckracker and opponent of official corruption. Donn Piatt, Memories of Men Who Saved the Union, p. 30. Abraham Lincoln Papers at the Library of Congress. Transcribed and Annotated by the Lincoln Studies Center, Knox College. Galesburg, Illinois (Telegram from Donn Piatt to Abraham Lincoln, July 2, 1863). Piatt, Memories of Men Who Saved the Union, p. 36. Piatt, Memories of Men Who Saved the Union, p. 37. Piatt, Memories of Men Who Saved the Union, pp. 37-39. Piatt, Memories of Men Who Saved the Union, p. 44. Piatt, Memories of Men Who Saved the Union, p. 46. Piatt, Memories of Men Who Saved the Union, p. 48. Piatt, Memories of Men Who Saved the Union, p. 95. Piatt, Memories of Men Who Saved the Union, p. 55-58.